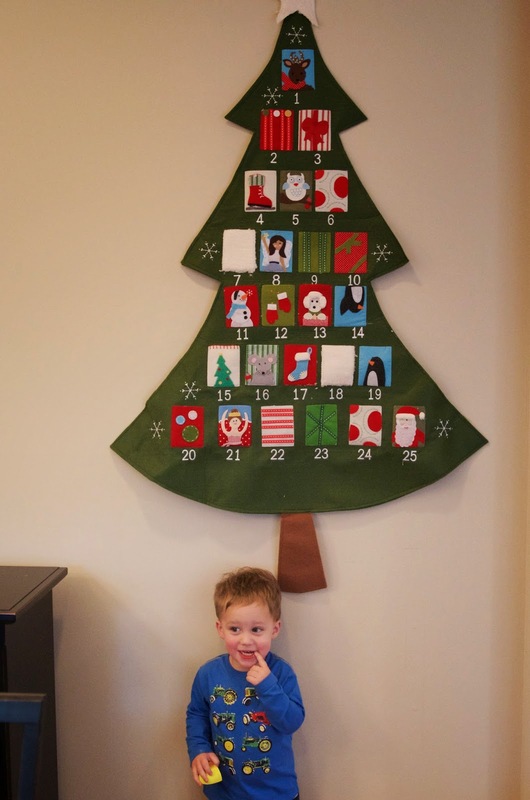 In addition to our family bucket list, we will also be doing an Advent Calendar with Noah this year. My mom got it for us from Pottery Barn Kids last year, but we felt Noah wasn't old enough yet. This year I think he will definitely get into it. We will be filling it with a few ornaments, Christmas socks, matchbox cars, stickers, and candy. On some days, the item in the pocket will correspond to the activity we are doing that day. For instance, we got him a train ornament. He will get that on the day we are doing the Santa Train. We also plan to do the 25 Days of Christmas Books again, but more on that another day. ^^^ you can see here that I purposefully hung it higher than Noah can reach. I don't want him getting in the pockets before hand. I also plan to move his bookcase over here for the month of December, since it's current spot is where we will put our Christmas tree. 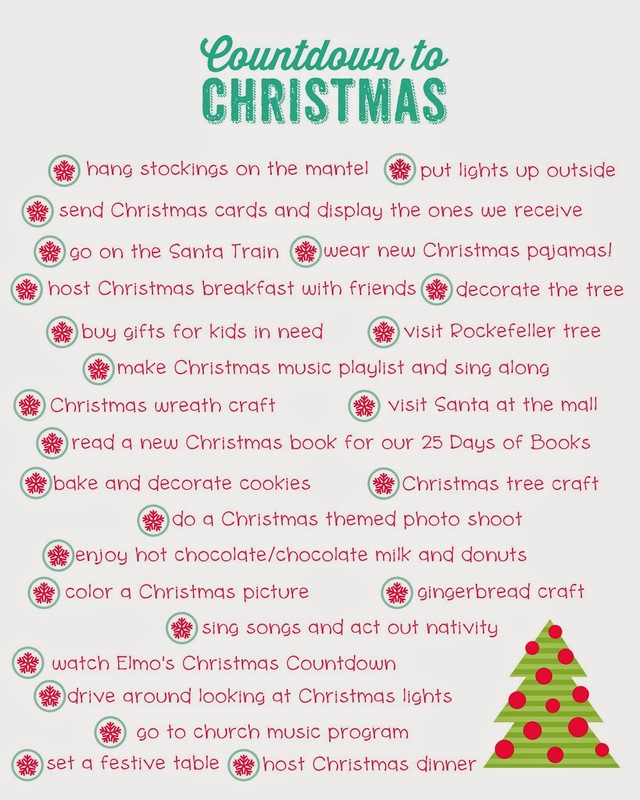 What holiday traditions do you have as a family? So many of this se things are on our list too! 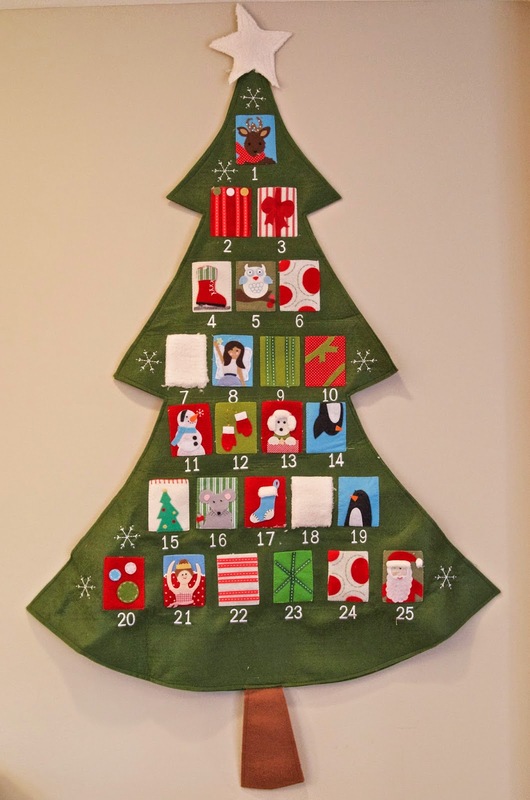 And I just love that advent calendar!